Once you have an established best practices online, such as OrgMarketing's steps 1-64, you need to begin measuring the right stuff. One of the most critical things you need to measure is how effective are your marketing funnels working to convert people into becoming what you desire. Your conversion rate along the path of persuasion is the most important metric to measure. 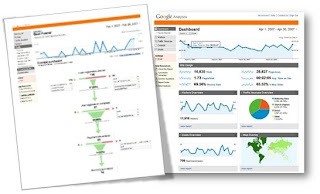 Google Analytics will measure this for you for free. Nothing will build a stronger case for investing in your charity’s online strategy like reading the right numbers to the right person. 1. How many Web site visitors do we get? 2. How many people are we getting to do what we want them to do (donate, volunteer, download)? 3. Where are the breakdowns in our conversion tactics? 4. What is our average gift online? 5. What is the total revenue per year from our Web site? 6. What is the total expense, staff, hardware, software, consultants, everything?